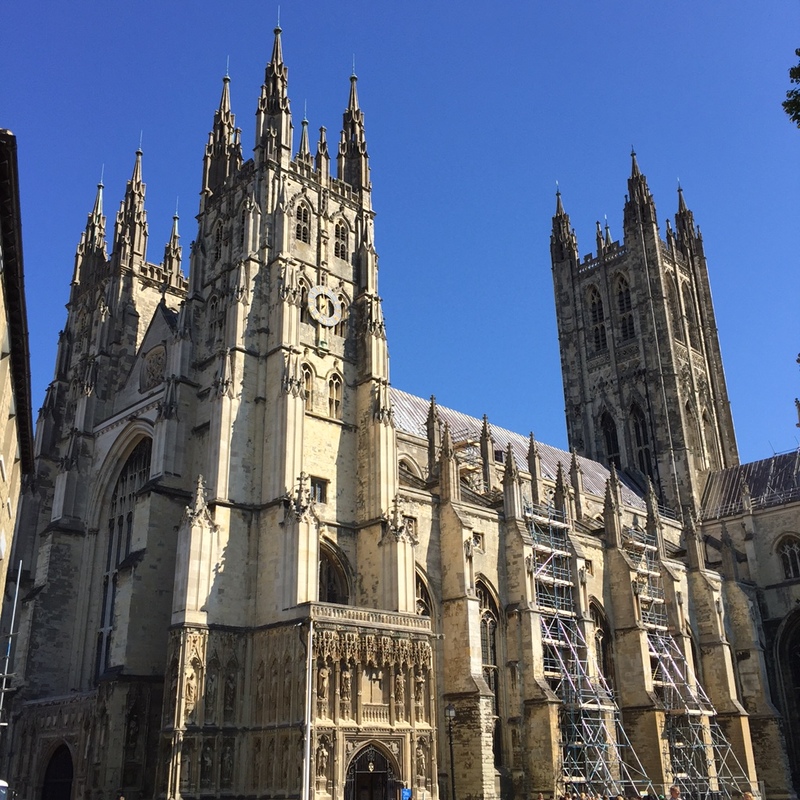 We started the day by going into Canterbury to check out St Augustine’s Abbey and Canterbury Cathedral. Both were really good – such history! This is the place of the founding of Christianity in England. Mind-boggling really. St Augustine himself was buried at the Abbey (although I don’t think he’s still there). Canterbury Cathedral was spectacular. Big, beautiful and bristling with important English history. St Thomas Beckett is entombed here – he was killed in the church in 1170 by King Henry II’s soldiers. Apparently Beckett was causing the King a bit of trouble. Beckett was canonised soon after his death, and the Cathedral has been a pilgrimage site since then. King Henry IV is entombed here also, as is Prince Edward, the so-called Black Prince. We got to Dover about midday, and spent a lovely afternoon exploring Dover Castle. It’s at the top of a hill overlooking the ocean, and has been a defensive fort for almost 1000 years. It was an important military based during WWII – with big anti-aircraft guns defending London against the Germans. The castle has a massive intact keep (tower at the top of a motte), with some really good re-creations of what it would have been like in its day – wall hangings and furniture etc. We had a good poke around. 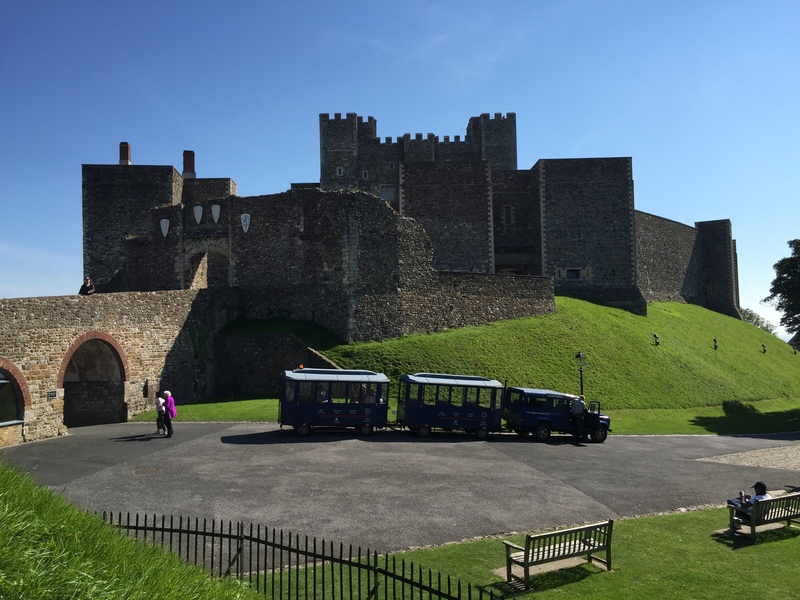 Dover Castle – it’s huge, with history all over the place! We completed our mission of dropping of the rental car and went to our hotel for a bit of much needed R&R. It’s been a busy week! 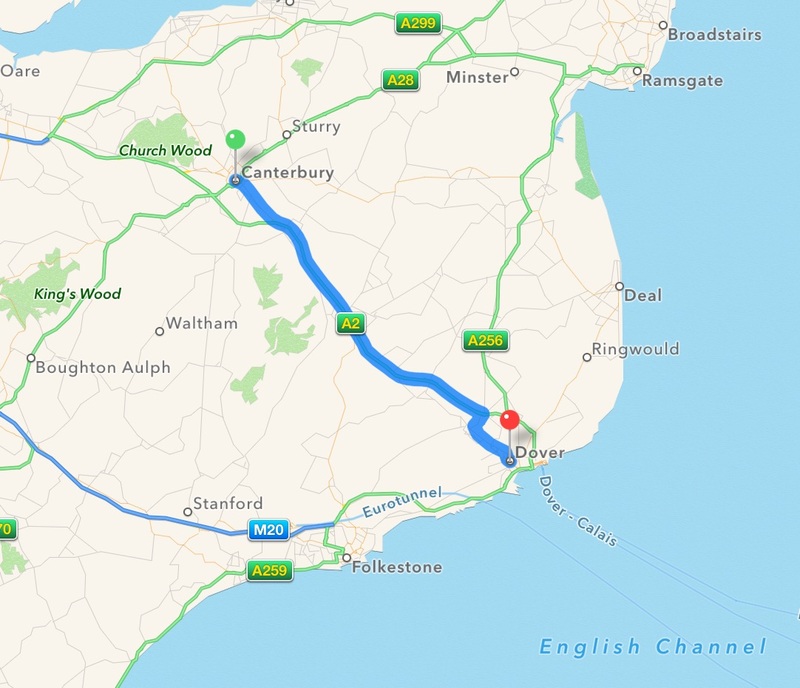 Tomorrow we finish our stay in England, and head off for France.